‘Capital losses’ and ‘Ordinary losses’ receive different tax treatment. A capital loss results when you sell a capital asset, such as stocks and bonds, for less than your cost. An ordinary loss occurs from the normal operations of a business when expenses exceed income. An ordinary loss can also occur as a result of a net section 1231 loss. A net capital loss (capital losses exceeding capital gains) is subject to an annual deduction limit of $3,000 and is deducted from other sources of income reported on your tax return, such as wages, interest, dividends,. 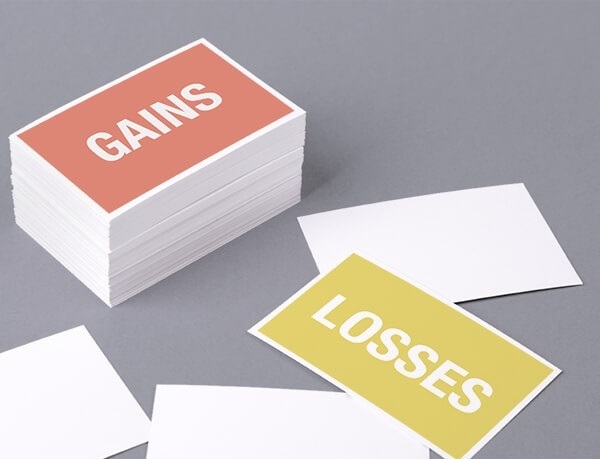 If a net capital loss exceeds $3,000, the excess must be carried over to the following year and is included in the computation of capital gains and losses of that year. If the loss is not used up in the following year, it may be carried to future years until it is used up. The character of a capital loss remains the same in the carryover year. In other words, if the loss is a short-term capital loss, it remains a short-term capital loss in the carryover year; if the loss is a long-term capital loss, it remains a long-term capital loss in the carryover year. Individuals may not carry back any part of a net capital loss to a prior year. Individuals may only carry forward the portion of a capital loss that exceeds the $3,000 annual deduction limit. Comparatively, C corporations do not have an annual deduction limit and may carry back a the portion of a capital loss that exceeds the current years capital gains (see the box below). A C corporation deducts capital losses up to the amount capital gains in any given tax year. If in any year, a C corporation’s capital loss exceeds capital gains of that year, the excess loss is carried back in a specific order then may be carried forward up to 5 years. The carryback order is: 3 years, 2 years, 1 year, then forward up to 5 years for any remaining capital loss. C corporations may use Form 1139, Corporation Application for Tentative Refund Corporations to carry back a net capital loss, net operating loss, unused general business credit, or an overpayment of tax from a claim of right adjustment. Form 1139 is not applicable to S corporations, which are pass-through entities (shareholders file their share of income and losses on their personal income tax returns). An ordinary loss is fully (100%) deductible in the year the loss is incurred and is not subject to an annual deduction limit. Therefore, an ordinary loss that exceeds $3,000 provides a greater tax benefit in the tax year the loss is incurred than a capital loss that exceeds $3,000 in the same tax year. Section 1231 is the section of the Internal Revenue Code that governs the tax treatment of gains and losses on the sale or exchange of real or depreciable property used in a trade or business and held over one year. Form 4797 is used to report the sale of business property. Section 1231 losses are fully deductible as ordinary losses and section 1231 gains are taxed as long-term capital gains at the lower capital gain rates. Your consulting business incurred a $5,000 net loss on Schedule C.
You sold 100 shares of XYZ stock and incurred a $4,000 short-term capital loss.